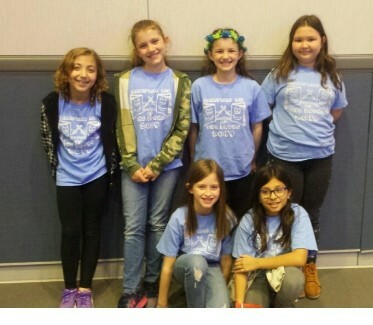 Six 4th grade students from Elizabeth Smith Elementary School traveled to The Center for Performing Arts on Monday, March 25, 2019 to compete in the Battle of the Books district competition. While we did not place, the students got 66 of the 80 questions correct! Battle of the Books is a book club with a competitive twist for third and fourth grade students. 34 students originally signed up for the club with 11 advancing to the semi-finalists. The goals of the program are to encourage and recognize students who enjoy reading, broaden reading interests, increase reading comprehension, and promote academic excellence. Every elementary school has a team participating. Students were quizzed on their retention of details and understanding of five novels: Fish in a Tree, Ghosts, The Penderwicks, Upside-Down Magic, and The Year of Billy Miller. * These titles will be available for purchase at our Buy One, Get One Free book fair May 6-8, 2019.